It's all about that mini Dior dotting tool. And mini bottles of Dior polish. And amazing shades. And brilliant formula. Okay, it's about everything. 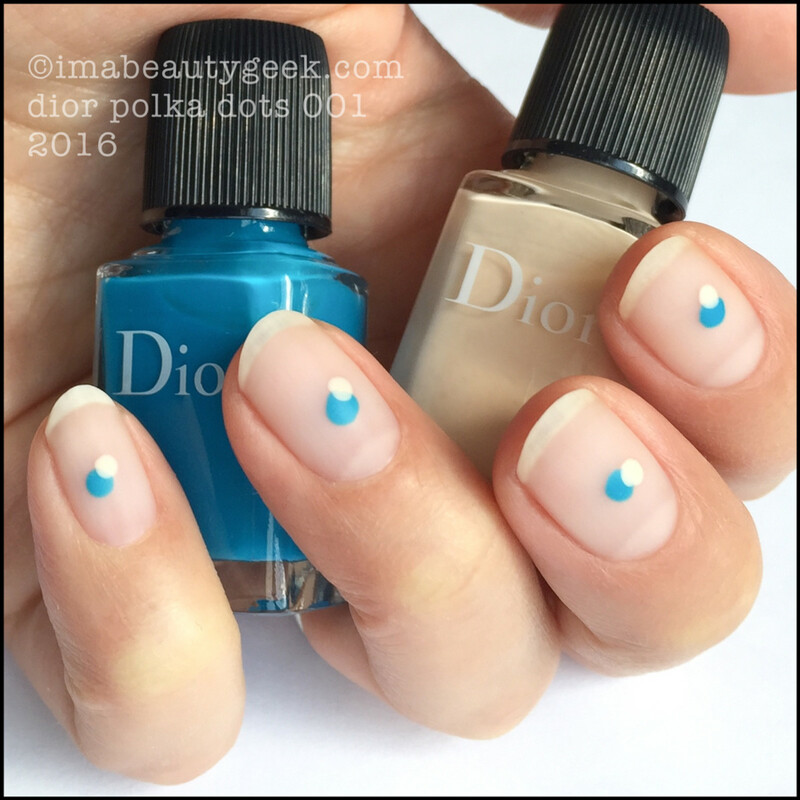 The Dior Polka Dot Vernis Duos are fun! Even though we all know I’m stupendously bad at arting, I can haz dots. There are 3 limited-edition duos that are formally called the Dior Polka Dots Colour & Dots Manicure Kits. 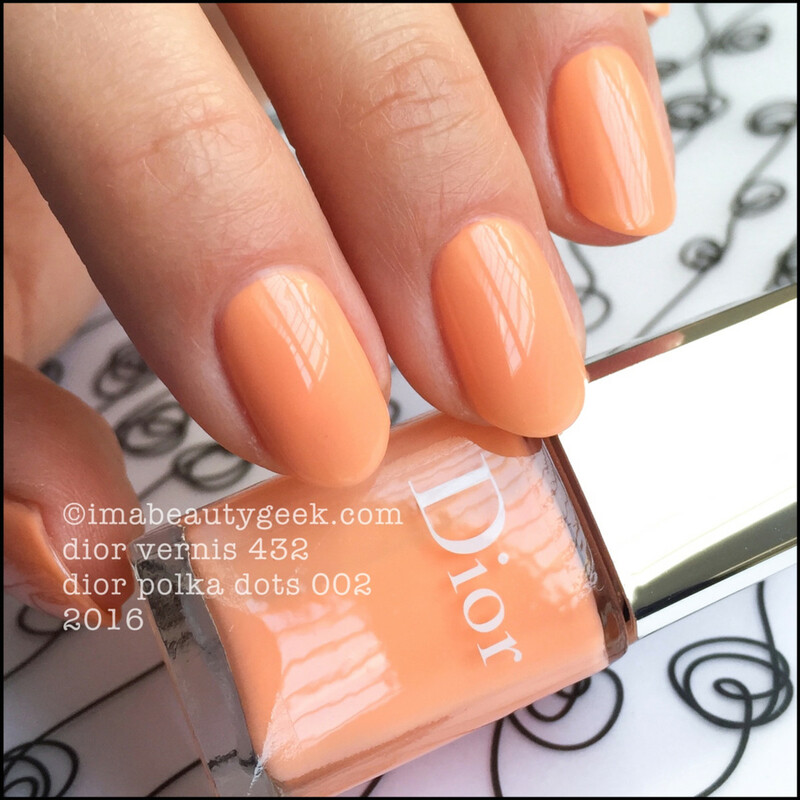 They&apos;re part of the colourful Dior Summer 2016 Milky Dots collection. 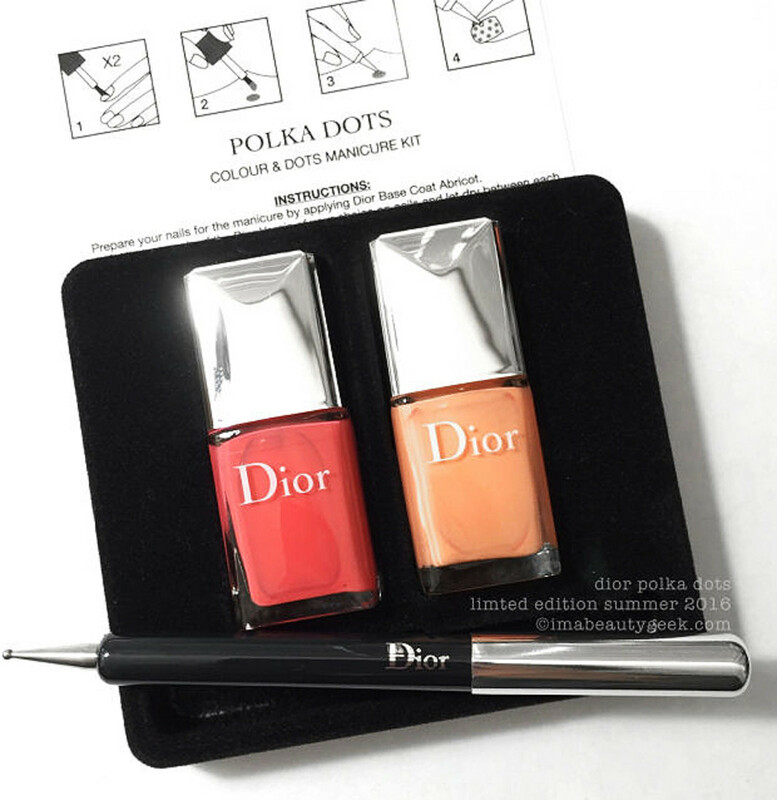 Each kit comes with a cute little Dior dotting tool and some instructions. I&apos;m too cool for instructions, so I just winged it. That could be why my polka dot manis are decidedly un-polka dot-like. 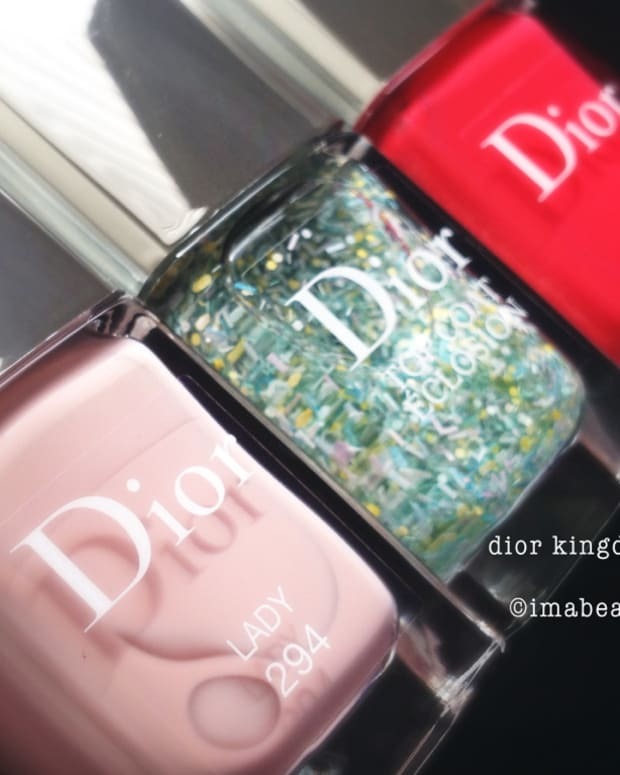 Although each Dior Polka Dots mani set has a name – this one is Pastilles – the mini bottles themselves are without names; they have only numbers. They also have that wonderful Dior paddle brush which works beautifully with these absolutely stunning formulas. Everything was two incredibly effortless coats and such a joy to apply. 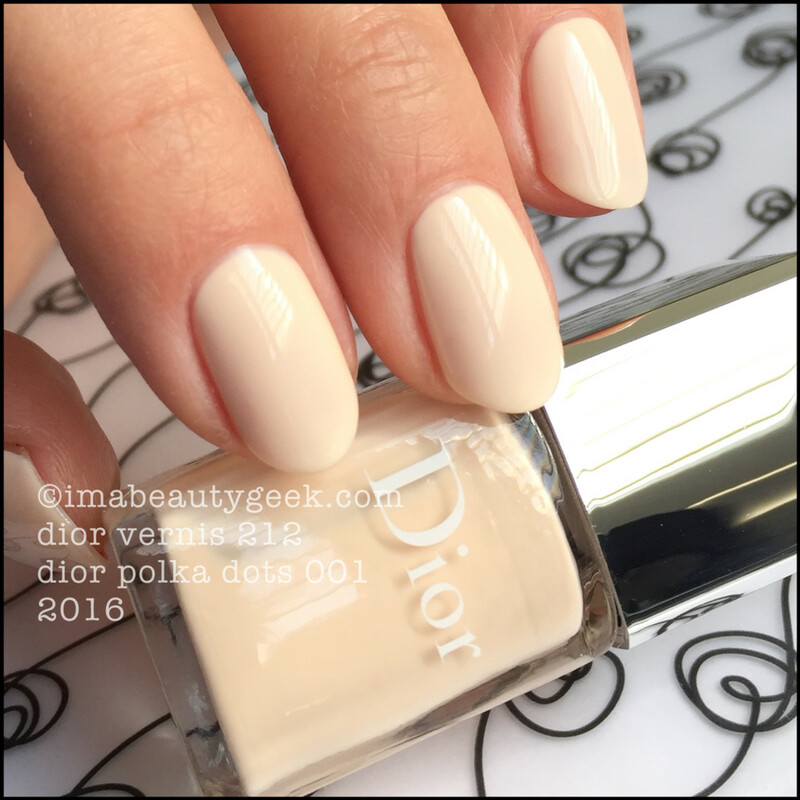 Dior is just so very good at polish. 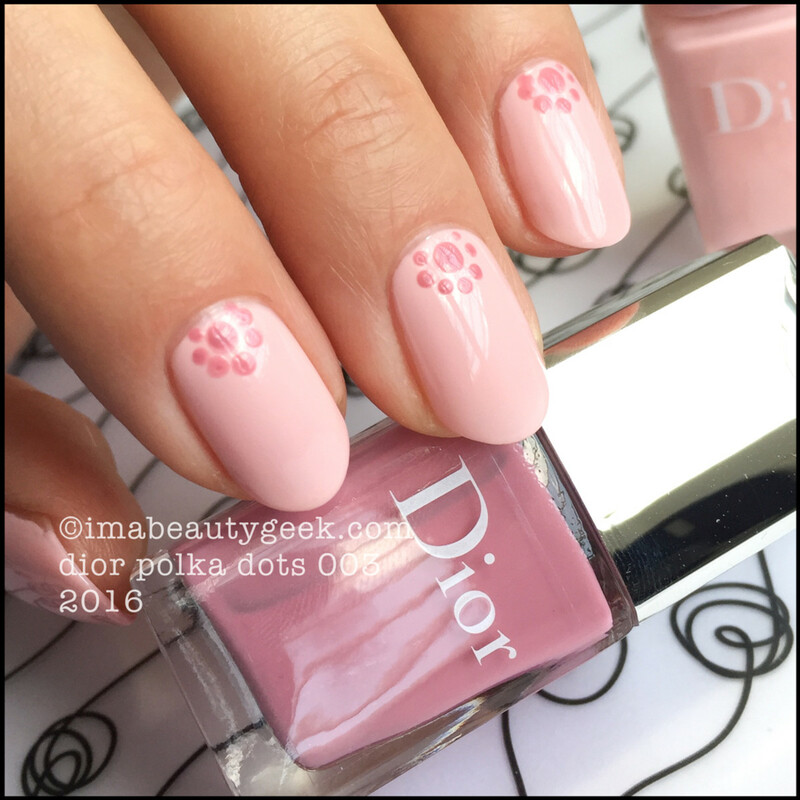 Dior Polka Dots mani kit 001 – Dior Vernis 212 (above). 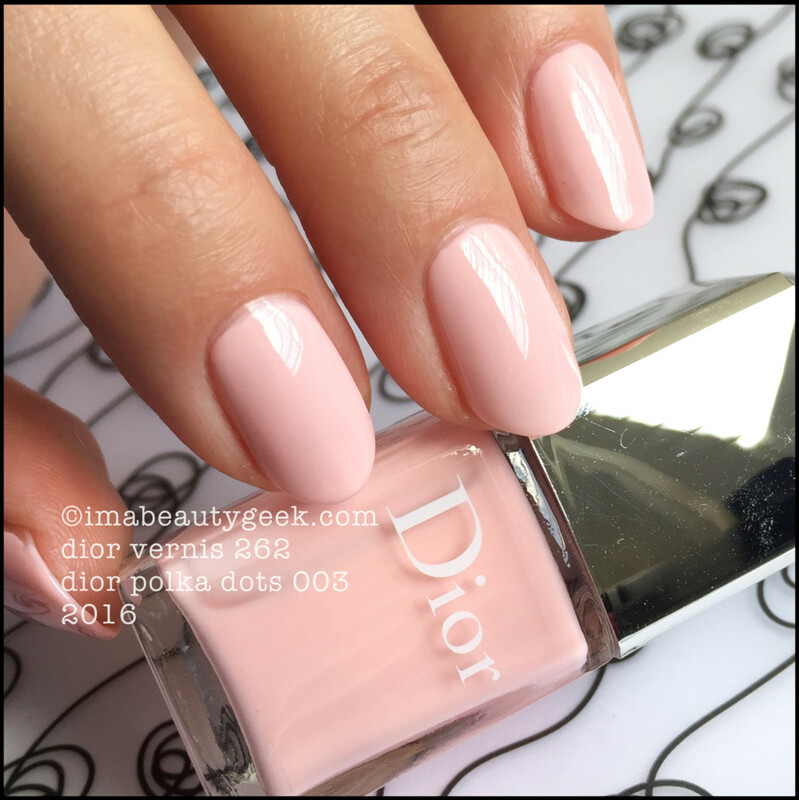 Dior Polka Dots mani kit 001 – Dior Vernis 795 (above). She’s a crelly blue and so perfect for summer. Oh yes, dots on bare nails + mattification (above). I did that. I’m calling it art. 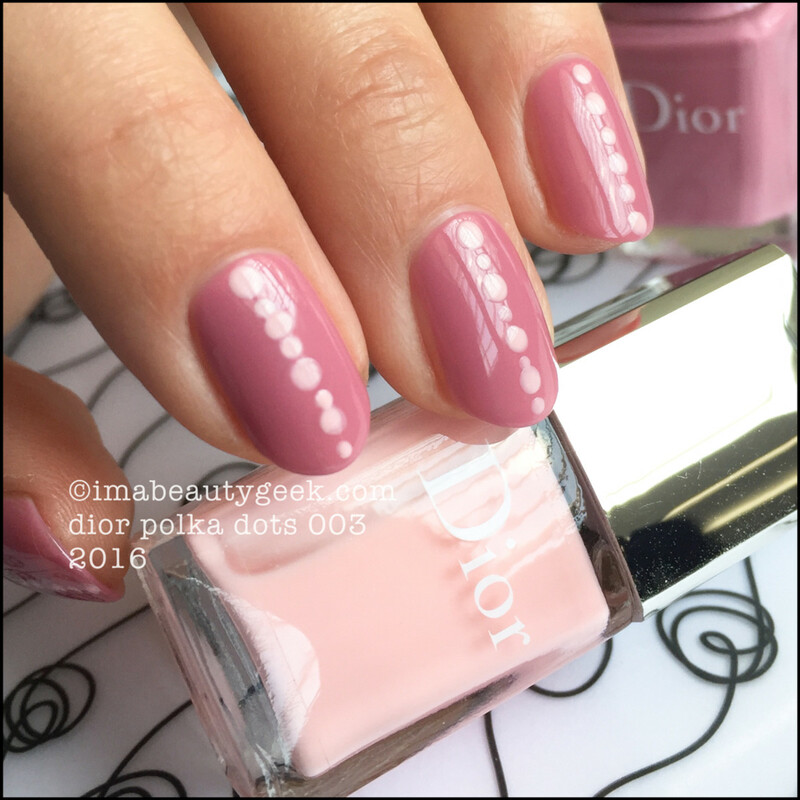 Dior Polka Dots mani kit 002 – Dior Vernis 432 (above). She pops me some awesome crustacean hands, but if your skin tone can handle this shade, it goes on like butta and looks so lovely. I’m envious if you can pull this shade off. I wish I could. 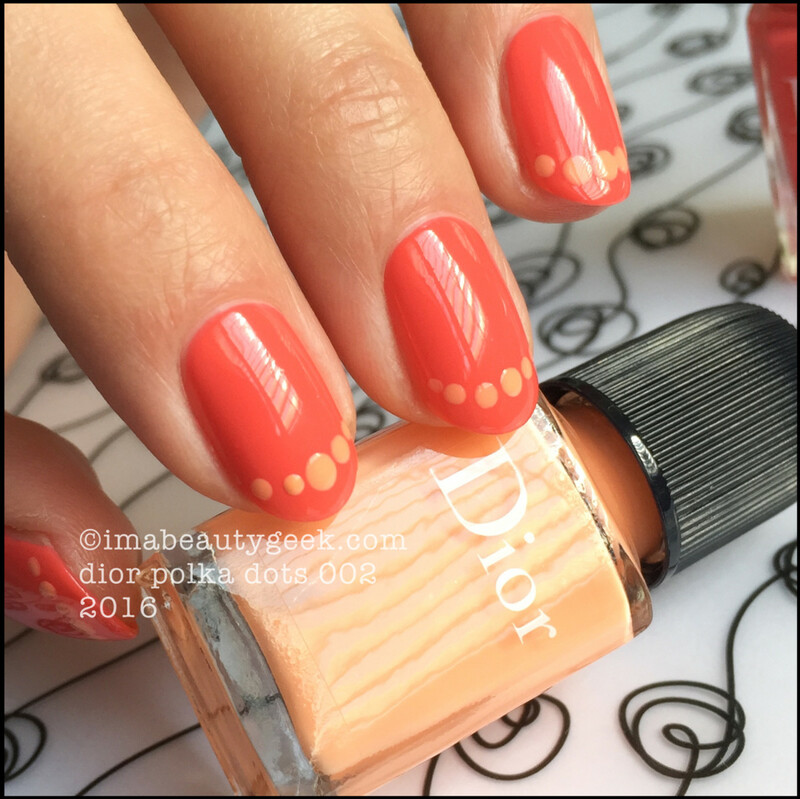 Dior Vernis 432 + dots in 652 (above). Interesting how adding dabs of Vernis 652 reduces the lobster-hands look, huh? 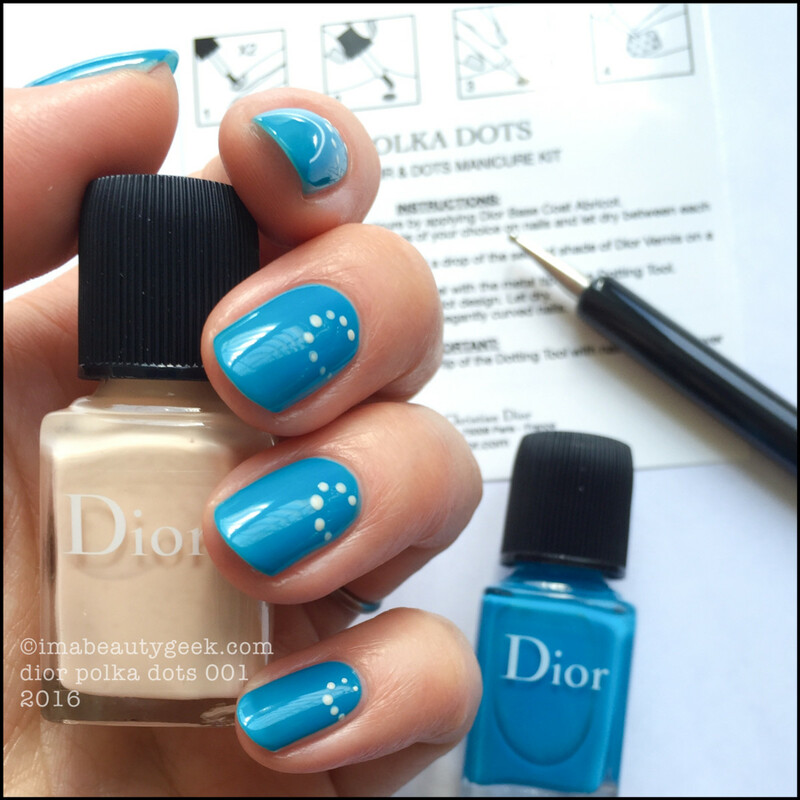 Dior Polka Dots mani kit 002 Confettis – Dior Vernis 652 (above). Gah! Look at that shade all by itself! So gorgeous. So sunset! 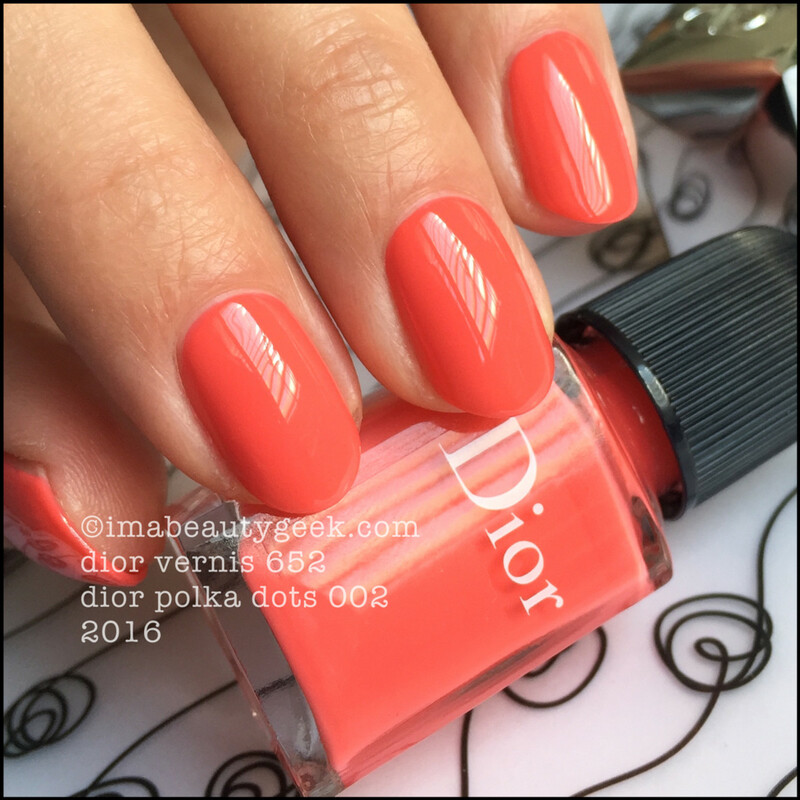 Dior Vernis 652 + dots in 432 (above). Hey look! A French Dotticure! 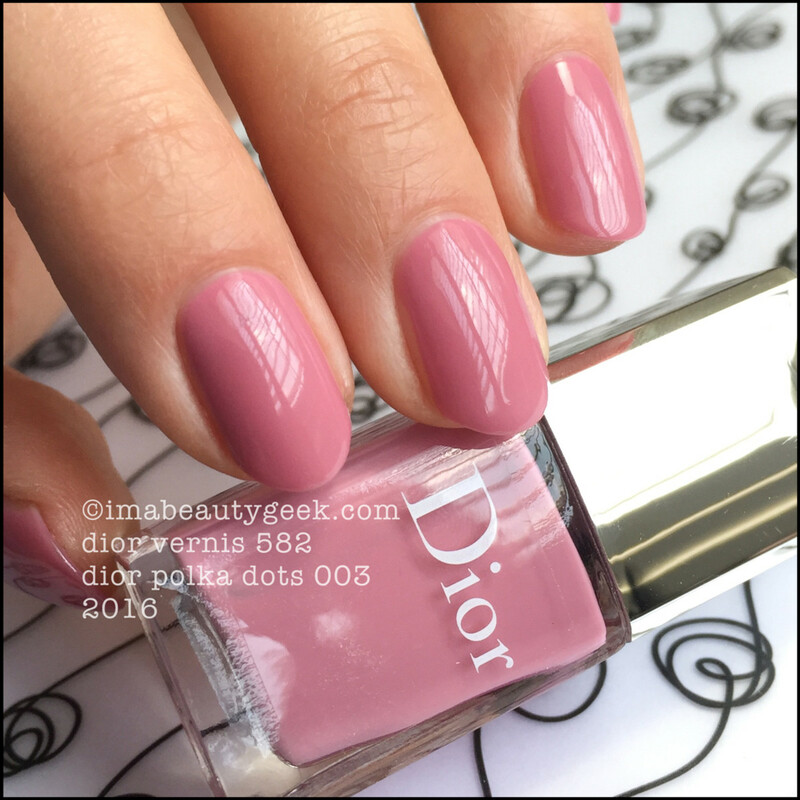 Dior Polka Dots mani kit 003 Plumetis – Dior Vernis 582 (above). I love this dusty mauve so much that I can barely contain myself. 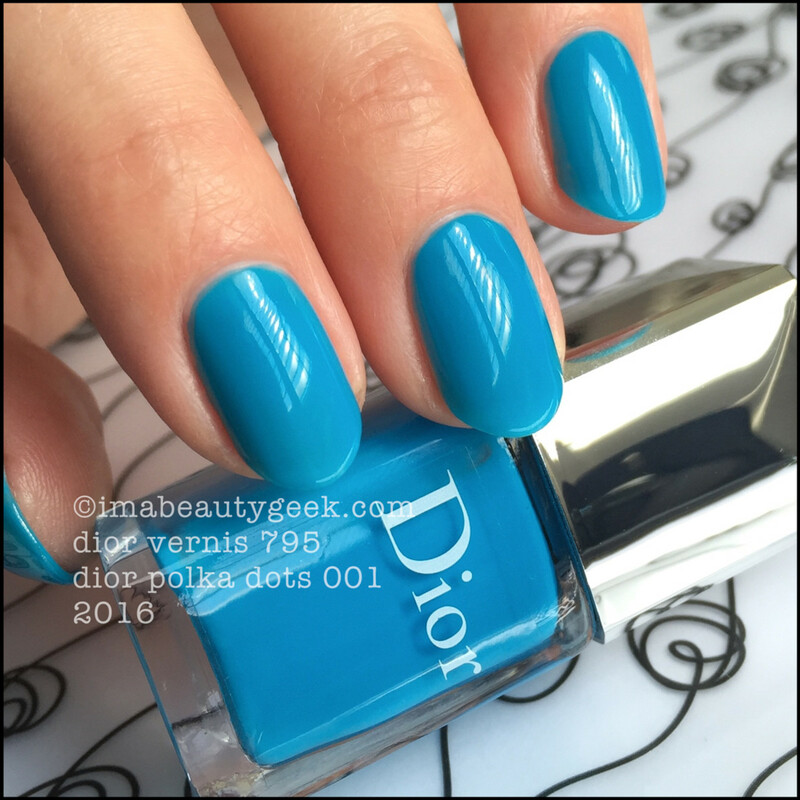 Dior Vernis 582 + dots in 262 (above). Dior Polka Dots mani kit 003 Plumetis – Dior Vernis 262 (above). Two stupid-easy coats to absolute perfection. 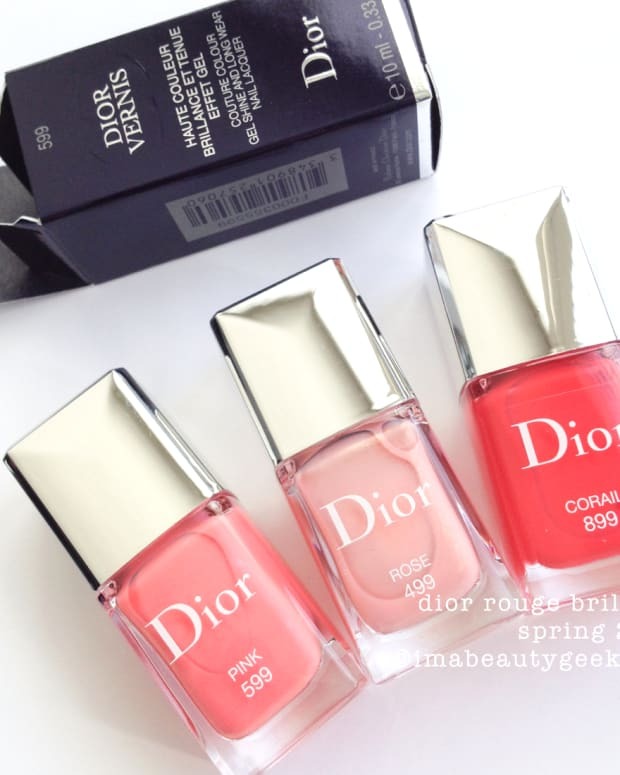 Have I mentioned I love Dior Vernis? I have, right? 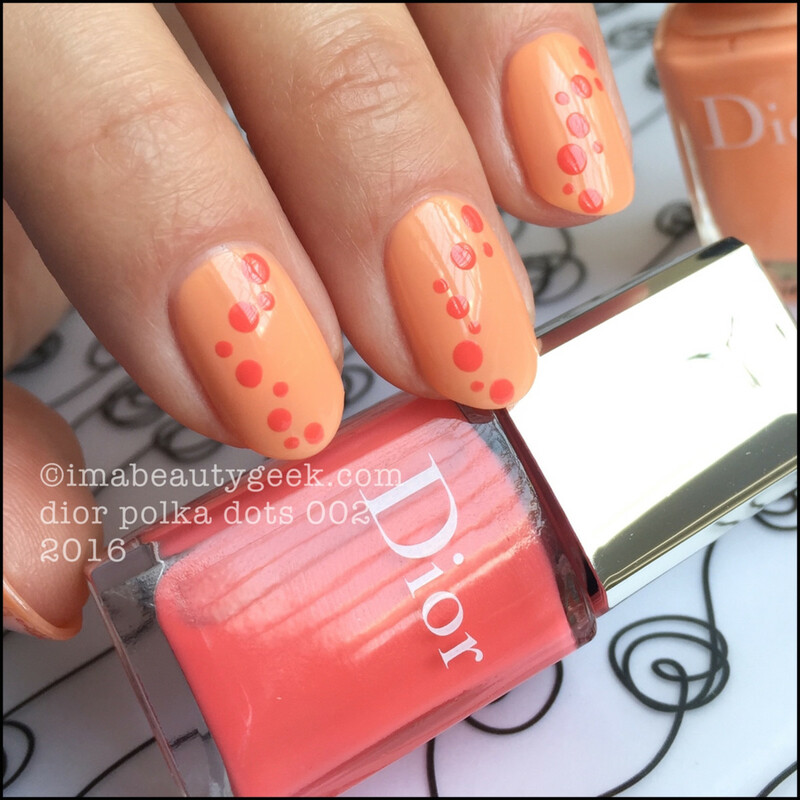 Dior 262 + dots in 582 (above). I’ve decided these dots are my favourite dots of all my dots. And there you have it friends! Before I let you go, I should mention that your accent (dot) shade will thicken remarkably fast, so you&apos;ll want to drop smaller and more frequent blobs of polish (into which you dab your dotter) on your palette, and periodically wipe off your dotter. I use a Sally Hansen Kwik Off sponge+remover tub to clean my dotter without disrupting my arting rhythm – very handy indeed. 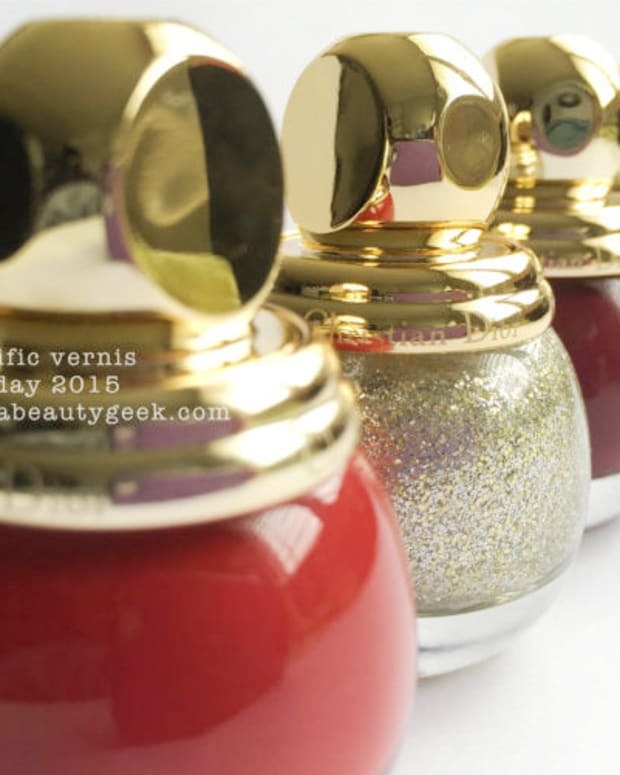 Availability: The Dior Polka Dot Vernis sets are selling quickly. They’re available for a limited time at sephora.ca, nordstrom.com, and Dior counters all over the place.